When invited for a "Beauty Discovery", who can say no to that especially since I've been living and breathing "anything Beauty-Related" for the past 2 decades? (yes friends, I've been holding and touching makeup as young as 16 years old applying makeup on classmates during school plays! Brands Shiseido, Guerlain and Elizabeth Arden unveiled their 2017 Spring/Summer Collections in Ayala Mall's Greenbelt 5 Gallery. Let's start with Elizabeth Arden, I have always known about the brand for their effective skincare products, I have stocked up so much on their Eight Hour Cream and little do I know the brand has so much more to offer! 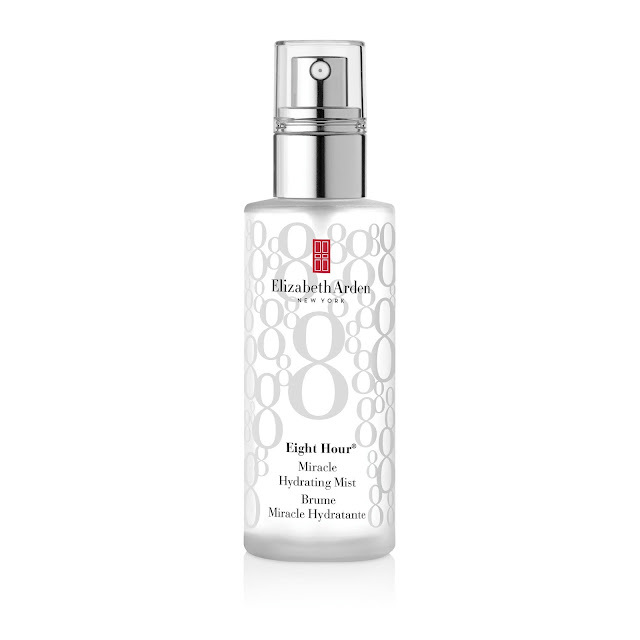 The cream has its' own version called the Eight Hour Miracle Hydrating Mist! So many makeup products to watch out for --- in this particular photo, I can actually create so many makeup looks on top of my head! And of course, I went ahead to the Guerlain area and took a sniff on the most sought La Petite Rose Noir fragrance. Guerlain Meteorites in pressed version. A new version of the best- selling Meteorites powder called Happy Glow Pearls that has correcting and illuminating properties. 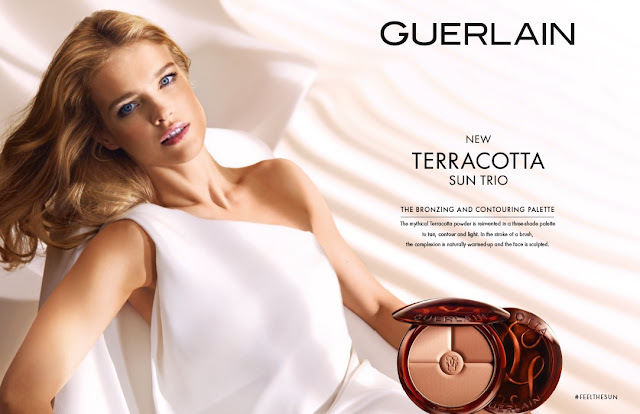 and Guerlain's new Terracotta Sun Trio. On to Shiseido, I checked out the "booth" and learned so many new products to be unveiled this year! A classic is revived to celebrate 100 years. Shiseido introduced Japan to its first face colors beyond the classic white. Ever since, we’ve continued to create ways to bring out the individual beauty of each woman. Now, you can experience the original seven powders, and recapture the magic. The newest product launched by the brand, the Shiseido Smart Filtering Smoother (Php1,700.00). This product can be used before or after makeup as it acts like a smart filter reducing the appearance of pores and lines! And if you don't want to spend Php11,000 for the powdes, you may try the "compressed" version and you can easily tote this along with you called the 7 Lights Powder Illuminator (Php2,900.00). You can easily experience the ultimate, essential illuminating powder for a vibrant ‘beginning-of-the-day’ look, perfect for every single face. And of course, when you talk about Shiseido, let's not forget their sunblock which has been receiving raves on the Beauty Industry. Today, they featured the world's first WetForce technology wherein the product does not only protects the wearer, but activates and increases efficacy when exposed to water or perspiration. Of course, you can also check out the Future Solution LX range. so which one is your favorite brand out of the 3?